Anyone can join. It's free. The trick is that you have to have a Google Account, which doesn't necessarily mean you have to have a Gmail account. I just sent out a notice to everyone currently a member of the Google Group which will have the Subject Heading "You ARE a member of ISLN@GOOGLEGROUPS.COM". If you didn't get such an email, then you need to join the group. See the link below. Remember, if your school joins ISLN, all staff members from your school will receive the discount price for attending professional development events like the SAS Children's Literature Conference -- and Hands on Literacy. Here's the slideshow Nancy Johnson presented at our last network meeting about the inaugural Children's Literature Conference the Singapore American School is hosting 17-19 February 2012. Click on each below to see the 2012 short-lists in our GoodReads account. Books can be sourced in a variety of ways. In Singapore there is Kinokuniya, Bookaburra, Littered with Books, Popular Books, etc. 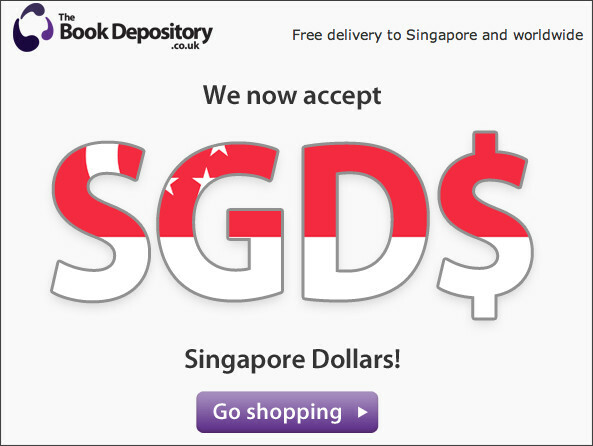 Online you can order books via Book Depository (UK) and Follett Titlewave (USA) -- which are more economical than Amazon (which charges shipping per book). and the winners will be announced on Saturday, March 17th. The Readers Cup will be in May. Go to www.reddotawards.com for ongoing information. A recent article that highlights some local bookstores I haven't been to yet -- but intend to seek out. BooksActually, No. 9 Yong Siak St., Singapore. Woods in the Books, 58 Club St., Singapore. Littered With Books, 20 Duxton Rd., Singapore. Pigeonhole, 52/53 Duxton Rd., Singapore. Littered with Books is the bookshop that Nancy Johnson and Kate Brundage were recommending at the last network meeting -- and the bookstore which will be supplying the books for their upcoming children's literature conference in February. As the organizer of the 2011-2012 Kids Read event, I'd like to extend a personal invitation to you and your students. Kids Read is a literature competition focusing on recreational reading. Middle School students in grades 6-8 (or Years 7-9 if following IB curriculum) work in team of 4 to answer 100 questions in 10 different categories. The purpose of Kids Read is to foster students' love for reading through recreational reading and ultimately turn them into lifelong readers. You can find the practice questions that Nadine Rosevear (International School of Beijing) has generously shared with all of us on http://kidsread-network.wikispaces.com/Question+Bank. She will keep posting new questions on the wiki. Everyone is welcome to share the questions with all of us. Unlike BoB, Kids Read does not provide students with a list of titles to read from, however, that's exactly the best part about it. We simply encourage our students to read so they can broaden their horizons. It may seem hard to approach it at first, but since there is really not a way to "prepare" them for the competition, we can just enjoy the fun without the pressure. The event of this year is scheduled to take place on March 9, 2012. Tianjin is not far from Beijing, the capital city of China. Tianjin was one of the earliest treaty ports opened to foreign trade and it still keeps traces of foreign concessions. Those architectures add an exotic flavor to today's Tianjin, 6th largest and fast-growing. If you can make it, I can arrange some sightseeing activities on Saturday if that's when you are planning on leaving. You can send in your registration anytime, but in order to facilitate the planning, it will be a tremendous help if you can let me know as soon as you decide to attend. Feel free to email me or Nadine (nrosevear@isb.bj.edu.cn) if you have any question. John Danalis is the author several books including the award-winning picture book Schumann the Shoeman and the non-fiction Riding the Black Cockatoo - John's personal story of opening his eyes to Indigenous Australian history and current issues, which is a GCSE text. If you're interested in having John visit your schools, please e-mail Esther. Alice Pung is author of Unpolished Gem, editor of Growing Up Asian in Australia and has just released a biography of her father's experiences in Cambodia, Her Father's Daughter, which has been met with fantastic reviews already. Alice's sessions start from AUD$650 all inclusive and I'm happy to provide a specialised quote for a combination of talks and workshops etc. The Red Dot Shortlists for 2011-2012 are very close to being finalized. A new website has been set up and will be filled in as soon as the titles are confirmed. If you go there now, you will find links to the short-lists in process. 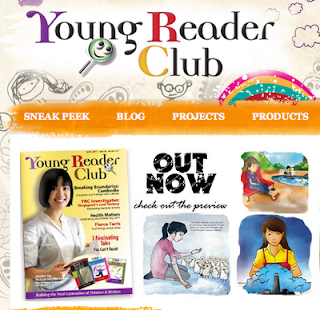 Experiences & Experiments Pte Ltd publishes a bi-monthly Young Reader Club magazine, which was launched in 2010. Directed towards a young audience, it carries issues and views of young individuals for the 10 to 16 year old audience. YRC features themes fo each issue which include redefining disability, environment, history & heritage, cultural diversity, and the value of giving, among others. Because our mission is to nurture the next generation of writers, our mian features are stories from selected young authors in Singapore who have grown personally an professionally through the craft of writing. Experiences & Experiments is also the organiser of two prestigious awards, the Young Author Award, and the DigiTales Award, endorsed by the Media Development Authority (MDA), National Library Board (NLB), the Book Council (NBDCS) and the Singapore Book Publishers Association (SBPA). Top prizes include a publishing contract as well as cash prizes. I had such a great weekend meeting and sharing with you. Are you all buzzing with ideas just like me? I bet! Now to find the time...we forgot about that one! Although we did discuss some great timesavers. Anyway, I wanted to write to let you know I've attempted to organize the notes from each of our sessions. Please feel free to add or change anything. On a personal/professional note I have joined SILCAsia and ECIS! Oh, and yesterday I also joined Library 2.0. Did you know they will be having an online conference across the timezones in November (12 and 13)? It looks very interesting: http://www.library20.com/. Fwd: Library: 2nd Shanghai Librarians Network Symposium - 5 November 2011 Registration is now open! Subject: Library: 2nd Shanghai Librarians Network Symposium - 5 November 2011 Registration is now open! 2nd Shanghai Librarians Network Symposium - 5 November 2011 Registration is now open! Last year's Symposium was a great success and from the feedback, librarians wanted MORE! So this year we are restructuring based upon the feedback and giving more time to each session, offering workshops more than 1 time. Everyone will have 2 opportunities to attend a workshop as well as attend some open sessions of "Show me how to…"
Dianne McKenzie from Discovery College, Hong Kong will be looking at "Copyright, copyleft, creative commons, public domain, fair use, attribution, permissions, - do these words confuse you about what is required when students do their work? Saturday November 19th is TeachIT 2011 - Singapore’s premier IT training event FOR teachers BY teachers. Sign-up for normal attendees will open in early October - watch this space for more details. Your school's IT director should also have information. You and your students are invited to join the 2011-2012 Kids Read China Finals, a literature competition for middle schools students. Kids Read is our very own reading initiative, thanks to the effort of Nadine Rosevear, the MS Librarian of International School of Beijing (ISB), China, back in 2009. This year's event will be held at Tianjin International School (TIS) on February 24, 2012 at their brand new campus. Please visit the following wiki to learn more about the event and to read questions from the past competitions. These will be great resources to start up your own reading group and to start practicing. The wiki has a question bank and members are invited to add and share their own questions on books to this resource. It will also serve as a communication tool between international schools in China to share ideas on how to promote the KIDS READ program. For more information, please send an e-mail to Phoebe Kao (pkao@tiseagles.com ) who will be the event organizer this school year.